All autors names has been removed, in order to keep privacy, you can still find respective autors on the Facebook Group. It started with comment: „Hi im new to this rule set just want to know if you have any tips?“. As generaly this particular group is very helpfull a lot of tips came in. So lets show them. I Will start with this GOLDEN TIP, it tells much about the game and about the approach you can take. Be patient, both on attack and defence, and don't deploy or use command dice just because you can. Deploy when you need to. Put jump off points a fraction over 4" back from a linear obstacle so they can't be locked down by a sudden rush. Eg don't place your JOP at the edge of the wood, put it back inside a bit . If a road has hedges or walls on both sides, put the JOP behind the wall closer to you. You can alway deploy 6 inches forward if you want, so at the edge of the wood or behind the wall on the other side of the road.There is advice on job placement, and the patrol phase in general, in Richard's tactical primer on the blog. Don't send out armour unescorted. Many an invulnerable all conquering armoured behemoth has been taken out by that lone Infantryman with a panzerfaust/antitank mine, etc. for want of some friendly infantry to flush the bugger out! Lardy Rich ran a handy "Talking Tactics" series. Another essential thing to remember is that CofC is a game of fire and movement, and you typically don't want to get bogged down in a firefight. Each force has its pros and cons. The trick is to use your pros, and exploit the opponent's cons. If you're British against German MG42s, drop smoke to blind them, use your leaders to concentrate fire one one team at time. It's not a hammer blow all the time, sometimes you just have to whittle down the enemy morale a bit at a time until you can manoeuvre enough force to overwhelm one part of the front. Taking out the right people often wins the game. 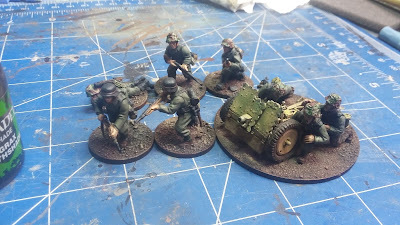 Small teams (panzerschreck/engineers, snipers, etc) are easier to wipe out or force to leave the table and make your opponent take hits on his force morale. Don’t focus to much on your friends tank you will find they aren’t very fast and they need to be activated so I’m pretty comfortable facing a tank in this game without your own the key is not to panic it won’t wreck your platoon like you imagine it would. Tank fear can skew your whole game plan if you're not careful. Fixating on it can lose you the game. Always remember if they have a tank that beast probably represents most if not all of their support options for the game. Do a search online for battle reports or AAR and read as many as you can. There are some excellent blogs out there that are very helpful. Bloggers, this is your cue to advertise below. :) For example The Tactical Painter or Tiny Hordes. In many ways, the terrain in coc is as (or maybe a little more) important than the actual support choices. Terrain does dictate a lot what support you should consider. This all accords neatly with real tactical doctrine. If you're fighting in built up areas, then tanks can be a liability. Select forces to suit the terrain, not the other way around! 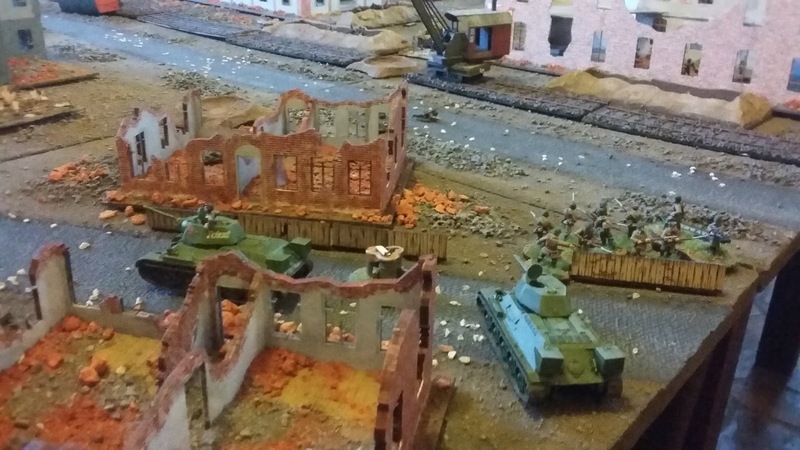 There are so many games where the forces have been chosen in advance on points, but the terrain is laid out on the evening with little thought of is it suited to the forces taking part. 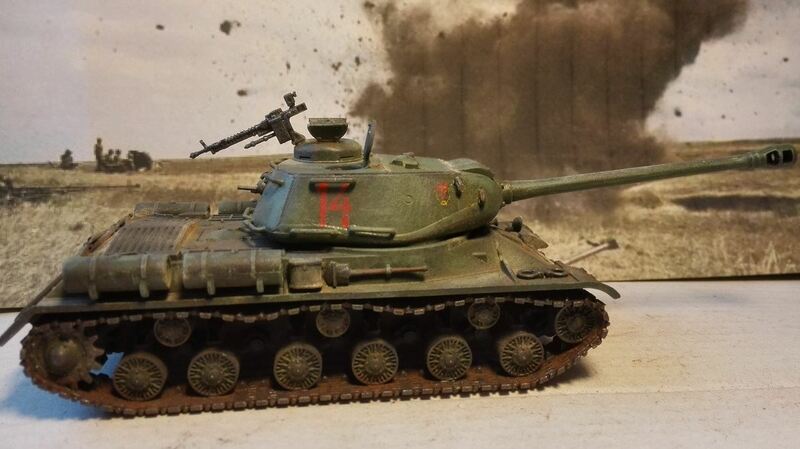 Autor: Collective of Autors from Chain of Command Wargame Facebook Group. Hello, thank you for your comment, I found that thread on Facebook Group superhelpful, so I decided to organize it a little. As someone who is a long-range gamer but new to CoC, this is super-helpful. Thank you so much! Hello, thank you for your comment. Just yesterday I have lost CoC big game in Berlin, just we did not use the troop and tanks properly. Have to re-read the tips :-D.